All Fillmore homes currently listed for sale in Fillmore as of 04/24/2019 are shown below. You can change the search criteria at any time by pressing the 'Change Search' button below. If you have any questions or you would like more information about any Fillmore homes for sale or other Fillmore real estate, please contact us and one of our knowledgeable Fillmore REALTORS® would be pleased to assist you. "HISTORICAL FILLMORE (FIRST CAPITAL OF UTAH). THIS BEAUTIFUL CUSTOM HOME IS LOCATED NEXT TO THE PARADISE GOLF COURSE, MATURE TREES, PARK LIKE LANDSCAPING, PLENTY OF PARKING, QUIET DEAD END STREET. YOU WILL LOVE THE OPEN LIVING SPACE, VIEWS FROM LARGE WINDOWS AND OPEN PATIO OFFERS WONDERFUL INSIDE AND OUT LIVING. DUAL FURNACES AND AIR CONDITIONERS, TWO WATER FALLS, EUROPEAN GARDEN, 18 PINE TREES"
"Interested in living off grid? This home on 22 acres includes 88 acre feet of underground water rights. Owner has farmed acreage in the past. The address is based off of the Fillmore Grid, the home is in the Cove Fort area. " "This 3 bed 1 bath cabin is close to I-15 approx. 4 miles from Fillmore Main St. yet still private and cozy... It has had many updates including a newer roof, solar panels to help run a t.v. and and extended deck... It also has a graveled area with a fire pit perfect for friends and family to sit and enjoy the fire. Power is provided by a generator/solar panels, and a propane line that is ran to the cabin. All lots are serviced by a spring. Bring us an offer!" 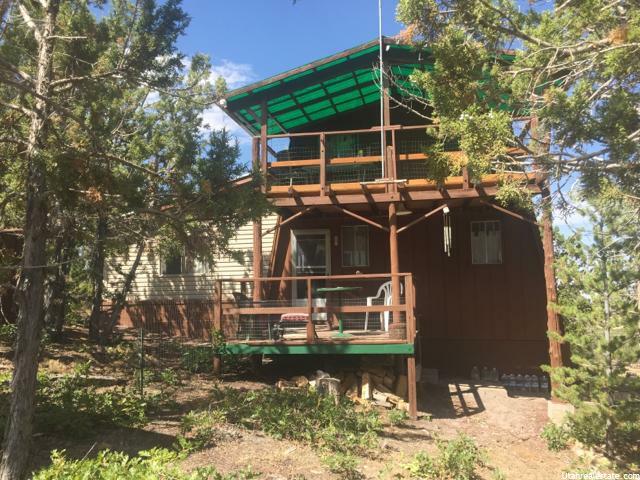 "Cabin (part time recreation property) located on 2.5 acres east of Fillmore with access to hunting, endless UTV trails, and incredible mountain views. Large 800 sq.ft. family room/kitchen area plus 4 bedrooms, and a wrap around deck. The property also has a built-in picnic table and benches plus a fire pit. Covered space under cabin for UTV. Features propane wall fireplace and wood burning stove and is powered by solar with large capacity batteries along with a generator. Brick storage shed for woodpile, plus houses generator, batteries, and tools. Water is provided to each cabin site by a common spring. 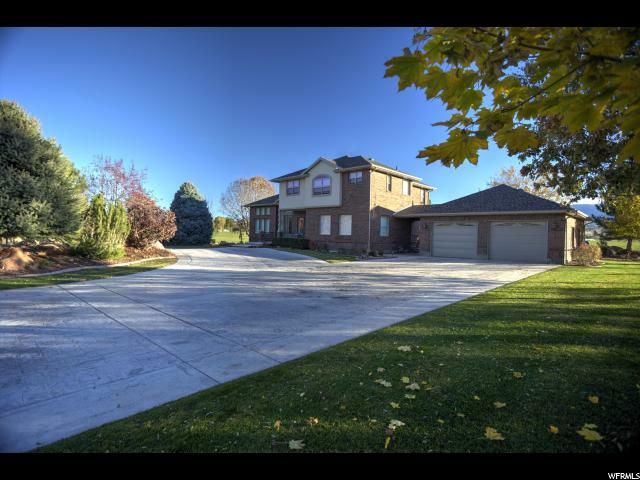 2512 E. FRAMPTON HEIGHTS #7, FILLMORE UT. Located behind the M Hill. All furnishings are included so come and enjoy!"